This is because, without sounding overly clichéd it can truly change a person’s life and the way they perceive and interact with the world around them. This is why it is imperative to ensure your plastic surgeon has your best interests at heart and offers the best care before, during and after your procedure. It is an incredibly personal decision to pursue plastic surgery, meaning it is vital that you trust your surgeon fully to put your wellbeing first and to safely deliver the results you are after. The task of finding the right surgeon for you can be overwhelming and the process from decision to procedure can be a long one. Not infrequently we see patients who take two years or more from initial consultation to surgery. It’s a journey and there is no right or wrong way to embark on it. What is most important is that you arrive at your ‘destination’ safely and with fantastic results. Do your due diligence and research as much as you can. Read reviews from reputable websites, ask your GP for their recommendations, visit the Australian Society of Plastic Surgeons and review their members (they have a tool that can search their member database across Australia). I also recommend scheduling consultations with several surgeons in person before you make a final decision. Do not just simply buy into marketing hype. Along with experience and credentials, it is incredibly important that you go with a surgeon with whom you have a natural rapport and in whose presence you feel completely at ease. Of course the best kind of research is finding a trusted friend or family member who is satisfied with their own surgical results. Unfortunately though, people don’t tend to talk openly about having facial aesthetic surgery – it’s still stigmatised in our society to an extent and a conversation that’s largely not had even between the closest of friends. There tends to still be some confusion about the difference between aesthetic and cosmetic surgery and to be honest, the difference is subtle. 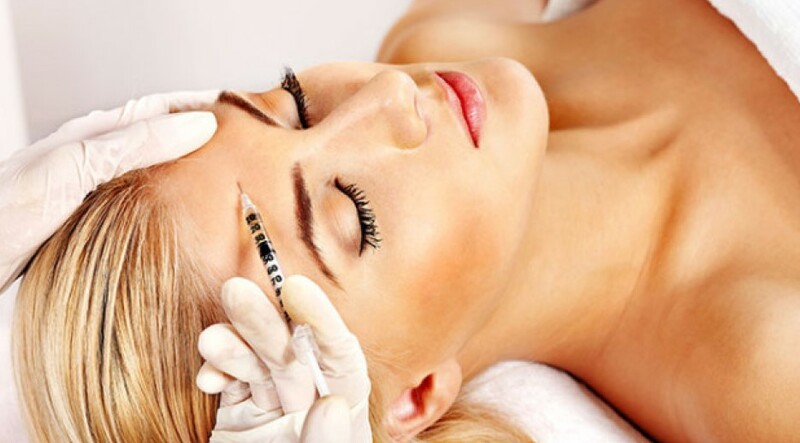 The way I like to communicate it is that cosmetic surgery is merely the superficial improvement of features while aesthetic surgery produces a quality result that pleases the senses. A quality aesthetic plastic surgeon is equipped with the technical and artistic skills and experience to operate on the internal support of the face, which goes far and beyond just the stretching and tightening of the skin. Clearly the aim of quality surgery is to bring facial contours back to where they were before and it’s the work you cannot see that will determine the longevity of results. Well trained plastic surgeons have a deep and comprehensive understanding of anatomy and the knowledge that provides the skills to they need to work with each individual’s bone structure; this compares to the non-expert cosmetic surgeon who may have a standard, one-size-fits-all” approach. These skilled surgeons also have a strong aesthetic eye and are able to mould the face and appearance to ensure any surgical work creates a natural balance to the existing features. Her powerful words made me realise the capacity of quality aesthetic surgery to change people’s lives. For example, a Chanel bag will cost a dear sum of money initially, however it will wear extremely well and its worth will be apparent for years to come. In contrast, a lesser quality handbag made with cheaper materials and craftsmanship will wear quicker over time; you will likely find yourself having to purchase another bag before you know it. The same goes for plastic surgery; every procedure should produce impeccable results and be considered a long-term investment in restoring and maintaining one’s natural, attractive and youthful facial definition. In saying this, if something seems too good to be true, it usually always is and when it comes to plastic surgery, there are no quick fixes that are worth the risk. You have to live in your face and body for the rest of your life. And to do so happily and with no adverse effects is priceless. Finding an experienced, qualified plastic surgeon that you are comfortable with is imperative, whatever the cost.